... and beachside in Saint Lucia. Virtuoso travelers Frank and Libby Souder knew each other in high school – although "not well," says Libby – and each ended up getting married, then divorced, later in life. With three kids between them, they reconnected. "Honestly, one of the reasons I went out with him the first time was because of his love of travel," says Libby. "It's always been a passion of mine, so I thought there could be a good fit there." 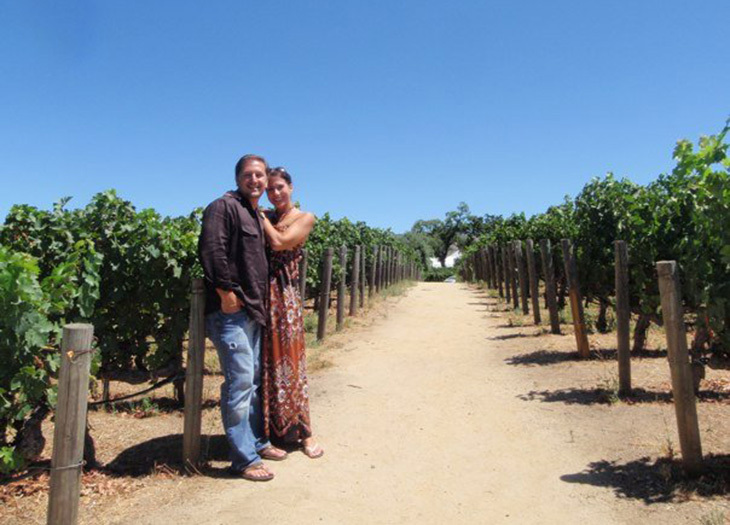 Both lived in Fort Wayne, IN – and on this first date, they decided to plan a trip to San Francisco and the Napa Valley for a week. "It seems like a strange thing to do, looking back," says Libby, "but the first date was going well, and we're both travel junkies, so we decided to plan a longer trip together." At this point, Virtuoso advisor Patti Lehman enters the story. Frank had worked with Patti on a few trips before; he turned to her to plan his first getaway with Libby. Patti handled everything from the plane tickets to the hotels, rental cars, and various itinerary points. "It was an awesome trip," says Libby. "Almost instantly, we both started feeling there was something here and that we were going to spend our lives together." That ended up being the case – the Souders are now married (that happened six months after the Napa trip), and have twins in addition to the three children from their previous marriages. "At this point, we both work more than full-time jobs and count on Patti to feed our luxury travel appetite and keep us sane by providing us perfect getaways," says Libby. "She has coordinated our travel around the world and has provided us with valuable advice." Working with Patti, the Souders have gone to Rome, Florence, Spain, Prague, Hawaii, South Africa, and New York City (to name but a few). New York City ended up being where they got engaged. "She has become a friend and someone we depend on to feed our soul with travel since we place such a high value on it," says Libby. "We trust all of her recommendations; she sends us travel books when we are looking into taking a trip, and is always proactive in every step. She has an incredible work ethic, and most importantly you can see and hear that she loves every single moment of her job." If you'd be interested in working with a Virtuoso advisor on your next trip(s), click below to connect. The Hartlands have five children. 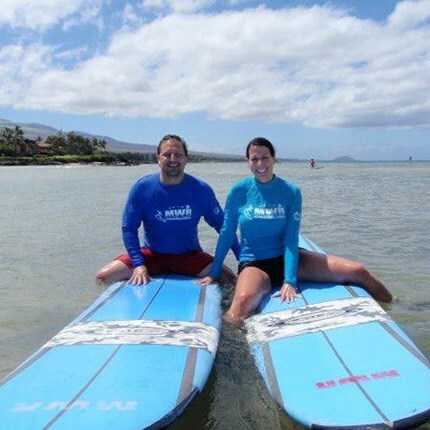 Travel was a challenge – and then they connected with a Virtuoso advisor. It was a life-saver. With young children, Catherine Ianchulev's travel itineraries shifted. An advisor proved invaluable. Steve and Marg Swink have been on over 45 Virtuoso trips. It all started with a simple question from their advisor. Will An Advisor Cost More? Virtuoso advisors work with you on price, of course, but they maximize your experience around the value of a trip. To see some examples of just how they do that, click below.